PSW Energy German-made solar energy systems produce up to 3 x more power guaranteed when compared to average Tier-1 labelled solar systems found elsewhere. In fact, when comparing cost per kWh generated over a systems warranty defined life, PSW Energy German solar systems cost half the price than that of the cheapest solar systems. You’ve worked hard for your money. Get what you know is proven and save more. Battery ready? Absolutely. PSW Energy’s German solar range are all equipped to be 100% battery ready with the SolarWatt range of solar batteries. 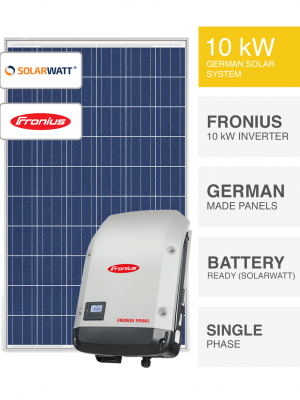 Made in Germany, SolarWatt boasts the world’s most efficient and the safest solar battery available with a 100% depth of discharge. No other battery comes close. German solar systems by PSW Energy are built to deliver you the best return on investment hands down. Feature packed with superior software included and the ultimate in future-proof design. Your journey to save more starts here.